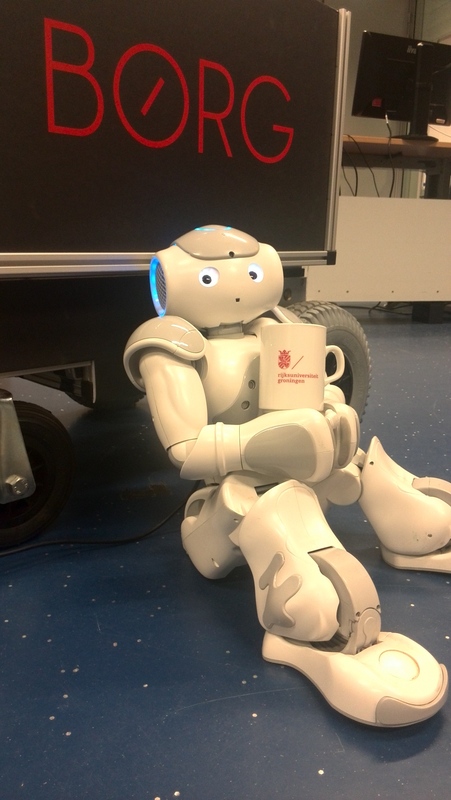 Alice and Nao are getting ready to join De Jonge Onderzoekers next Sunday to show young researchers what can be done with and in Robotics. They will need to get up at 8 so we’ll them start with a cup of coffee. Together with the First Lego League and First Tech Challenge team, Impossible Robotics, we will host a day of demonstrations on Sunday June 14th at Dirk Huizingastraat 13 near the University Medical Centre in Groningen. Would you like to see us and other robot groups in action? Check djog.nl for more info!